The law firm of Dimond Kaplan & Rothstein, P.A. provides seasoned counsel for stockbroker fraud, investment fraud, commercial and business disputes, class action and whistleblower litigation, personal injury litigation, and criminal defense. We will aggressively pursue claims to recover your investment losses. Learn more about our practice areas by contacting us today. Our professional, A/V-rated lawyers have experience with cases in state and federal courts, private arbitration forums, and state and federal appellate court. Our results will show you, we fight for you. 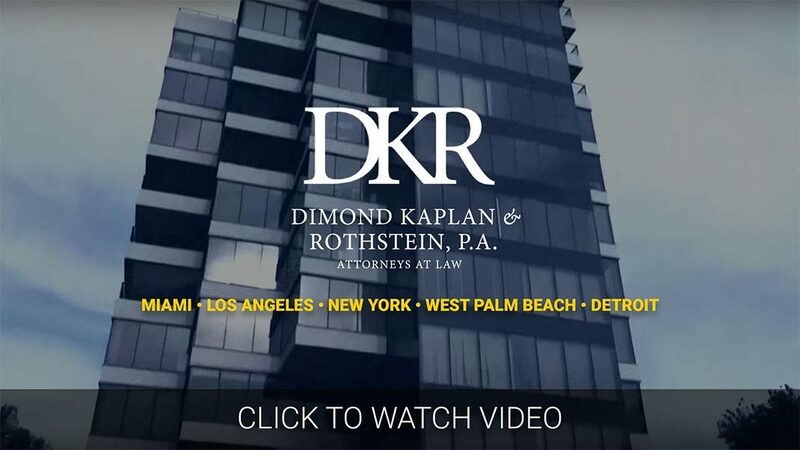 Investors in Naples, Florida can look to Dimond Kaplan & Rothstein, P.A., for counsel and representation in investment fraud, stockbroker misconduct and other investment fraud cases. To schedule a consultation with an experienced and accomplished Naples investment fraud attorney simply complete the form below or call us at 888-616-4332. The Naples investment fraud attorneys at Dimond Kaplan & Rothstein, P.A are dedicated to obtaining the best results for our clients. If your broker failed to properly manage your account, recommended unsuitable securities, made unauthorized trades, misrepresented the risk or nature of an investment, or breached fiduciary duties owed to you, you may have certain legal rights that require immediate attention. Discuss the facts and circumstances behind your legal claim or your legal case with an experienced Naples investment fraud attorney at our Naples, Florida office. We serve many clients throughout Naples area and the greater state of Florida. Please note our office is by appointment only. To schedule an appointment, please complete the form below.